According to the AAA Foundation for Traffic Safety, approximately 11 percent of all police-reported collisions involve at least one driver who flees the scene. Driving on an expired license. In Texas, a driver leaving the scene of a collision who does more than $200 in damage is guilty of a Class B misdemeanor, which carries up to six months in a county jail. If someone suffers minor injuries as a result of the collision, the driver may be charged with a felony. This is punishable by up to a year in county jail or as much as five years in state prison, and a fine of up to $5,000. If the collision involves serious injury or death, a driver may be charged with a third-degree felony, punishable by two to tenyears in state prison. Payment for hit and run claims generally is handled by your own vehicle insurance, in the form of uninsured motorist bodily injury and property damage coverage. 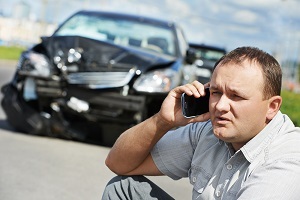 Bodily injury coverage helps with your medical bills, while property damage covers the cost of repairs to your vehicle. This coverage is relatively affordable, and it offers significant financial protection from hit and run drivers up to the policy limits. Not only will a hit and run driver face criminal charges, he also has civil liability for the harm he has caused. If you’ve been abandoned at the scene of an accident, you’re entitled to seek compensation for your injuries and property damage through a personal injury lawsuit. To discuss your claim, contact the law offices of Steve M. Lee, P.C., by using the form on this page.